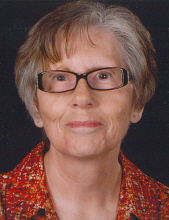 Cherryville - Ms. Mary Ellen Carpenter, 72, of Leonhardt Road, passed away on Saturday, January 19, 2019 at CaroMont Regional Medical Center in Gastonia. Ms. Carpenter was born in Cleveland County, NC on December 8, 1946 a daughter of the late William "Bill" Carpenter and Willie Mae Costner Carpenter. She retired from Mohican Mills in Lincolnton and cared for her mother until she passed. Ms. Carpenter was a member of Bess Chapel United Methodist Church. In addition to her parents she was preceded in death by two brothers, Kenneth "Jake" Carpenter and Aaron Carpenter. Survivors include a daughter, Lisa Walsh Williams and husband Jeff of Cherryville; a grandson Jakob Williams and her beloved dog Pumpkin. Visitation will be on Tuesday, January 22, 2019 from 12:45 to 1:45PM at Bess Chapel United Methodist Church and at other times the family will be at the home. Funeral Services will be held at 2:00PM on Tuesday, January 22, 2019 at Bess Chapel United Methodist Church with Rev. Alice Day officiating. Burial will be in Bess Chapel United Methodist Church Cemetery. Memorials may be made to Bess Chapel United Methodist Church, c/o Linda Towery, 2357 Bess Chapel Church Road, Cherryville, NC 28021. Stamey-Cherryville Funeral Home & Cremation Service is serving the family of Ms. Carpenter. To plant a tree in memory of Mary Ellen Carpenter, please visit our Tribute Store. "Email Address" would like to share the life celebration of Mary Ellen Carpenter. Click on the "link" to go to share a favorite memory or leave a condolence message for the family.